#StayWild Tip: Take in a new perspective. Stop looking down at your phone: look up at the birds high above. 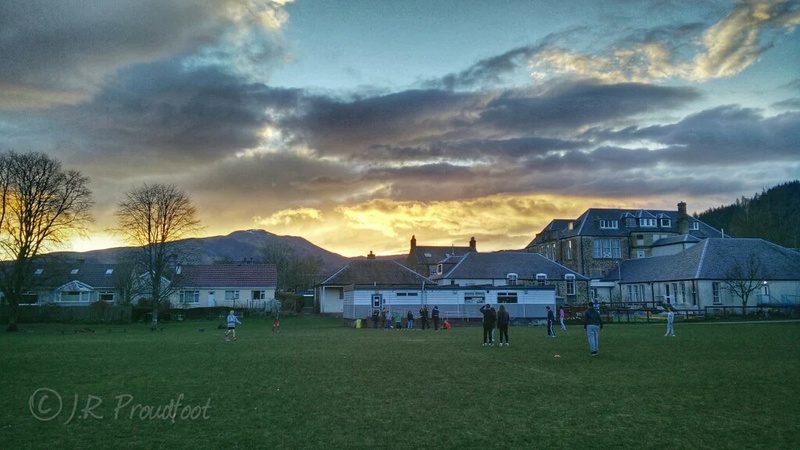 Tuesday is Youth Club night at the Youth Project, and with the evenings being so warm it was great to get the young people outside. We took them over to the school playing fields and set them off with rugby balls, tennis gear and a huge parachute. Of course, young people being young people they quickly developed their own styles of play. Even without expensive equipment I am always impressed by the creativity and inventiveness of children. Some of them would play sports, while some would practice gymnastics on the grass. Others climbed trees or found sticks that they would wield like swords and chase each other around the field. A group of boys played an indecipherable game involving a rock which, in their minds, was an ingot of mysterious metal with magical qualities that had to be transported from point to point – otherwise it would explode. The care, delicacy and intricacy of this performance was fascinating and amazing to watch, but also poignant as you realise that these skills learned through play will help them as they grow. I’m proud that these children want to play outdoors, get muddy, climb trees and take (supervised!) risks. I’m pleased when they show curiosity in nature and try to spark further interest in nature. This can backfire! Try explaining to a child there’s no such thing as seagulls, just many different types of gull, or why the sky stays light at 9 o’clock even though the sun has long dipped below the horizon. I enjoy fielding these questions, but it can be challenging! On the rare occasions where I can actually do something that hold their attention and encourages curiosity or astonishment I am most pleased. I pointed out the swifts streaking and screaming high in the sky above the play park, and explained how they had migrated here from Africa to spend the summer here, and that they even sleep, feed and drink on the wing. The kids were in awe of this, and I hope that this one little instant of looking up instead of down will not be forgotten, and will inspire that little spark.